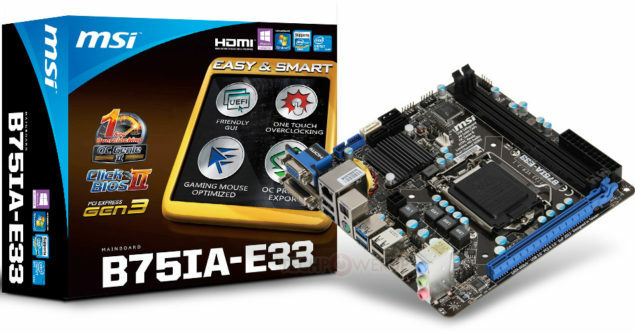 MSI has announced the B75IA-E33 which is a mini-ITX form factor motherboard featuring socket LGA1155 and Intel’s B75 business class chipset. 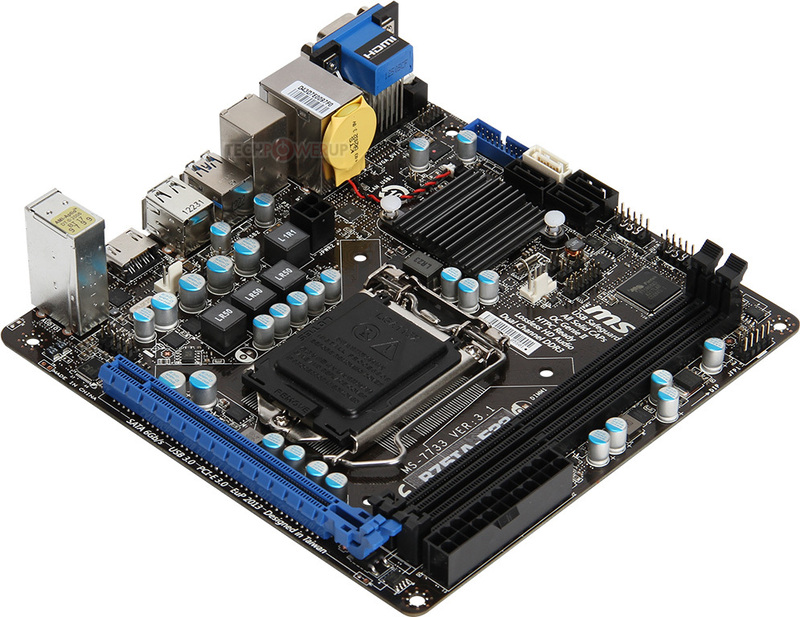 The motherboard utilizes a compact design while offering enough features for space saving business platform PC’s. The board has a 24-pin and 4-pin connector to draw power from whereas a 4 phase VRM provides juice to the LGA1155 socket. Two memory slots offer support for 16GB memory with frequency upto 1600MHz. Expansion slots include a single PCI-Express 3.0 x16 slot while storage options include one SATA 6 Gb/s, and three SATA 3 Gb/s. For I/O there’s a 7.1-channel optical SPDIF output, four USB 3.0 ports , gigabit Ethernet,Four USB 2.0 ports, and mouse/keyboard combo PS/2 port. Display outputs include DVI, D-Sub, and HDMI. The board runs on the UEFI firmware. Availability and pricing have not yet been detailed.